Quick Summary: Students are introduced to the concept of hope and how it can emerge from the stories of people chasing asylum. They will read informative texts about the first ever Refugee Olympic Team and build their individual and collective understanding by considering stories that inspire and create a sense of hope. Using a selection of thinking, planning and writing tools, students will create a biographical text in which they use language to capture emotions, empathy and communicate experiences that inspire hope. Students will understand how stories of overcoming adversity in refugees’ journeys can send a powerful message of hope to other people seeking asylum. Students will understand how biographical texts can be used to communicate individual stories and inspire hope. Students will make language choices that communicate their understanding of individual stories and a sense of hope that can inspire audiences. Relevant parts of Year 10 English achievement standards: Students evaluate how text structures can be used in innovative ways by different authors. They explain how the choice of language features, images and vocabulary contributes to the development of individual style, and create a wide range of texts to articulate complex ideas. Resources required: Student Worksheet – one copy per student OR computers/tablets to access the online worksheet. Device capable of audio/visual presentation to present a website to the class, and enough devices for students to use individually or in groups of 2-3. Internet access. Article – Olympic Refugee Team overcomes hardship to make Games debut (optional – one per student). Biographical Writing Factsheet (one per student – printed or accessed online), Triple Venn Diagram. Keywords: asylum seeker, refugee, hope, Olympics. Overarching learning goal: This lesson is will engage students with a significant ‘story’ of seeking asylum: hope. 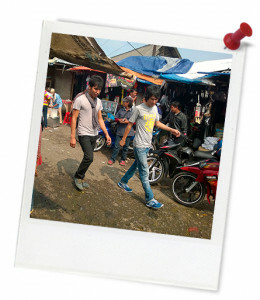 By considering the circumstances that sustain or diminish hope alongside stories of seeking asylum, students begin to understand and empathise with people fleeing their homes and seeking asylum. Through writing biographies/biographical profiles, students will engage with real stories and develop skills in manipulating text structures and language features to create purposeful texts that engage and inform audiences. Thought starter: What do you hope for your future? What inspires or gives you hope for the future? Use the 3-2-1 Bridge visible thinking routine to think about 3 thoughts or ideas, 2 questions and 1 analogy around the concept or feeling of HOPE. Watch one of the following clips (you will be allocated to one) and then make an 'expert pair' to discuss the references to hope in each. 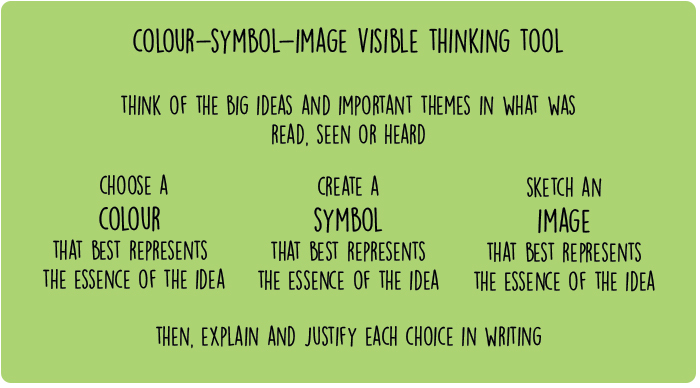 After watching the clips, work with your partner to complete the 'Colour, Symbol, Image' thinking routine to visually represent the concept of either hope or hopelessness. You could create a table in your workbook or use the one below for this task.